We all learn through stories, either listening to others or sharing our own. And the power of storytelling lies in the way it can help rewire the brain by bringing new images to life—of courage, hope, love and acceptance—to replace the old ones. In this one­-day workshop, discover the art of weaving stories through your teaching in a way that will support all your students, no matter what they’re going through, and enrich their classroom experience. 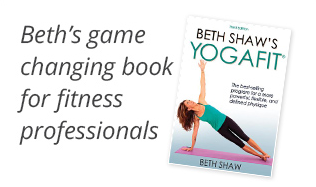 Please note: these books are not available through YogaFit but can be found at most major book retailers.